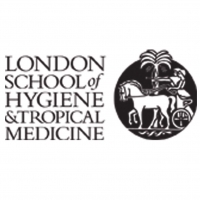 The London School of Hygiene & Tropical Medicine is a world-leading centre for research and postgraduate education in public and global health. We currently have more than 1,000 Master’s and research degree students based in London and 3,000 studying by distance learning. Our staff, students and alumni work in 180 countries worldwide. The School has many world-leading centres, research groups and consortia, specialising in areas as diverse as malaria, tuberculosis, non-communicable diseases, global mental health, mathematical modelling, evaluation of public health interventions, and maternal, reproductive, adolescent and child health. The Centre for Global Mental Health (CGMH) is a collaboration between the London School of Hygiene & Tropical Medicine (LSHTM) and King’s Health Partners Academic Health Science Centre, including the Institute of Psychiatry, Psychology & Neuroscience (IoPPN), SLAM and our KCL and NHS Trust partners. It aims to build on the existing collaborations and complementary strengths of these two institutions to foster research and training in policy, prevention, treatment and care. Its mission is to close the treatment gap for people living with mental, neurological and substance use disorders in low resource settings. Arlinda is the co-Deputy Director of the Centre for Global Mental Health. She is a Research Fellow at LSHTM and experienced trial manger with background in Psychology. Arlinda is currently managing the E-Compared trial in the UK. She has previously led a few other large projects such as FIRST, which developed and evaluated e-solutions for improving the reading abilities of people with Autism; and Evidem-E, a study that evaluated exercise as treatment for depression and other psychological problems for people with dementia. Arlinda has also worked both clinically and as a researcher for the National Health Service in the UK, with a focus on Post Traumatic Stress Disorder and refugees from South-eastern Europe. Carl May is Professor of Healthcare Innovation at the University of Southampton. His work includes studies of professional-patient interaction, chronic disease management in primary care, the development and implementation of innovative healthcare technologies, and the production and politics of evidence about effective clinical practice. In recent years, Carl has focused on developing a richer understanding of complex interventions in health care and of the dynamic processes that underpin technological innovation. Central to this has been the development of Normalization Process Theory (NPT), with Tracy Finch, which provides conceptual tools to analyse the processes through which innovations in healthcare are implemented, embedded and integrated in everyday life and work, and Burden of Treatment Theory that extends the insights of NPT to help us understand how clinical and service innovations are experienced by patients and their families. Ricardo Araya is a Professor of Global Mental Health at Kings College London. Prior to this role, he was Professor of Psychiatry and Director of Centre for Global mental Health at LSHTM. His main research expertise is in developing and testing innovative and effective mental health care interventions in LMIC. In particular, simple interventions using non-medical health workers and strong community participation supported with technology. He is involved in projects in a large number of countries in Latin America and Africa.